More on the beloved spring herb in my recipe for Bärlauch Barley Risotto. There are plenty of variations of filled puff pastry flowers online. If the version above proves too tricky, here is a simple variation. In a medium frying pan, melt the butter until spluttering. Add the onions and cook for a few minutes, or until translucent. Add the spinach and Bärlauch and cook until wilted. 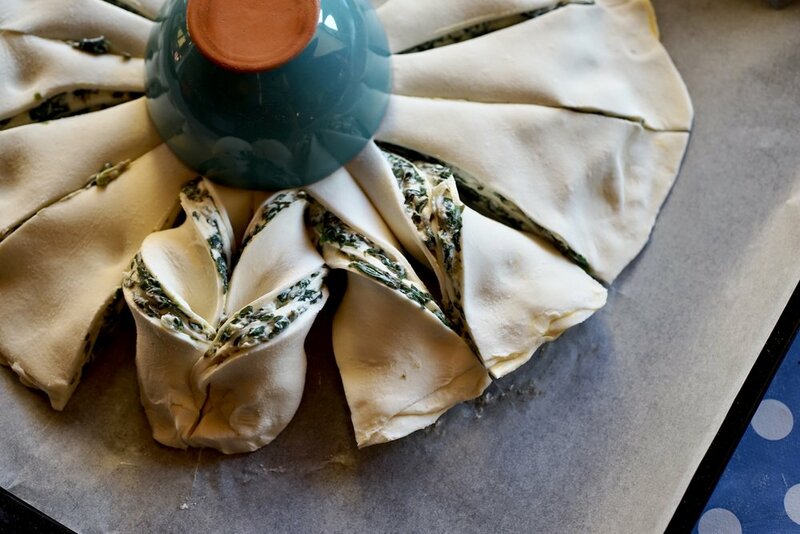 Place the spinach/Bärlauch mixture in a medium bowl, then add the ricotta, lemon zest and juice, and salt and pepper. Use a fork to mix well. Split the puff pastry in thirds and roll out into three fairly equal discs. Place one disc onto a parchment-lined baking sheet. Spread half of the filling on the first disc, leaving a small edge. Brush the edge with egg. Place a second disc on top of the first, pressing down around the edge. Repeat with remaining filling, then brush the edge and place the third disc on top, pressing to seal. 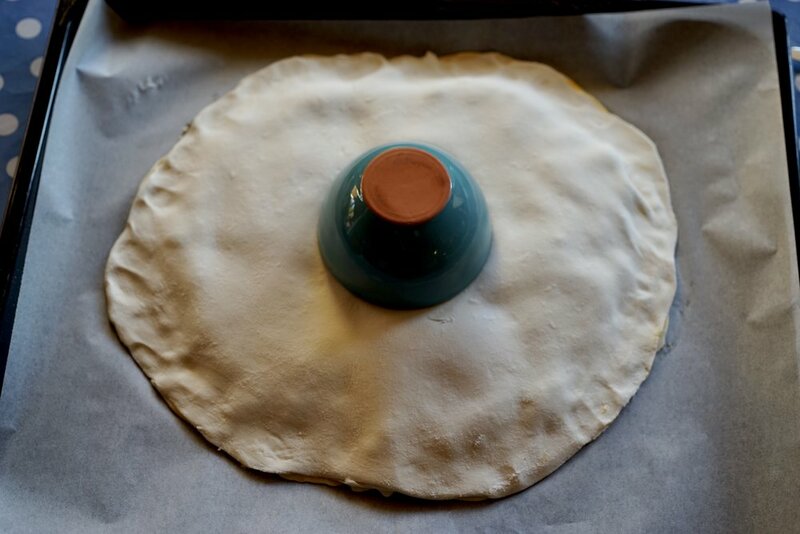 Place a small bowl in the middle of the disc, then make 16 equal cuts from the edge of the bowl to the edge of the dough. Pick up two pieces of dough that are side by side, and turn them both toward each other. Turn them a second time, then press the ends together. Repeat until you have done the whole tart. Remove the bowl. Brush the top with egg, then bake for about 30-35 minutes or until golden. 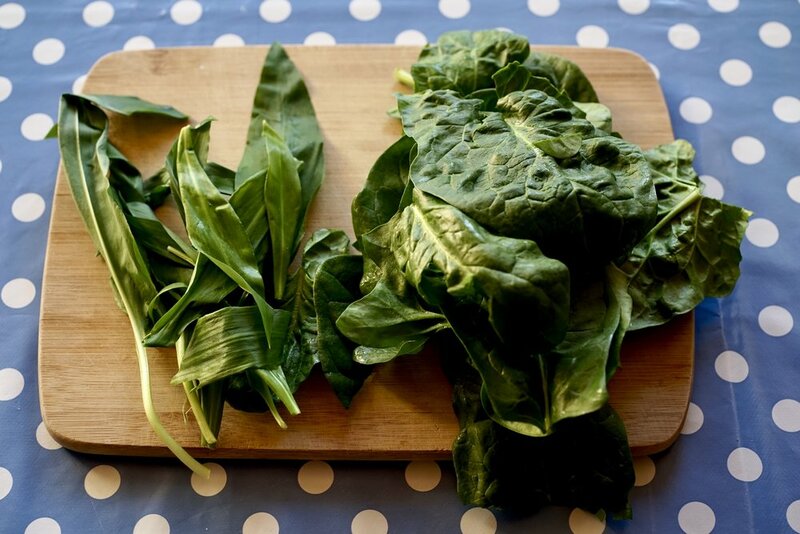 If you don’t have wild garlic, just up the spinach to 200 g and add 3 cloves of garlic, minced, when you cook the onions.